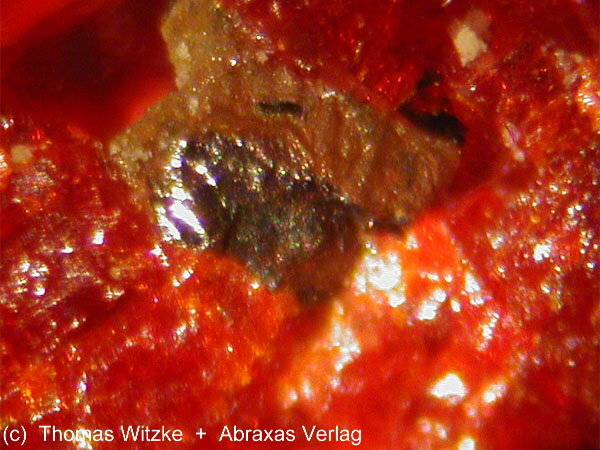 Comments: Black grain of vrbaite in red realgar matrix. Location: Allchar, Roszdan, FYR Macedonia. Scale: Picture size 1.7 mm.